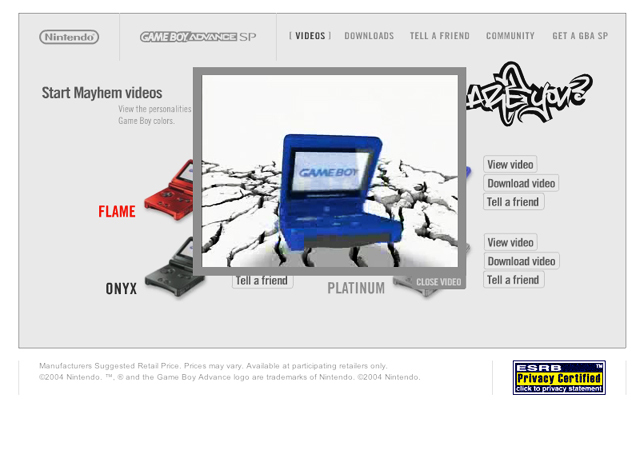 Advertising Agency Sedgwick Road came to us to create a website to expand upon Nintendo�s �Who Are You?� campaign, which introduced the new colors of the Game Boy Advance SP. We included streaming videos describing each personality, and an online personality test to determine which color best suits you. 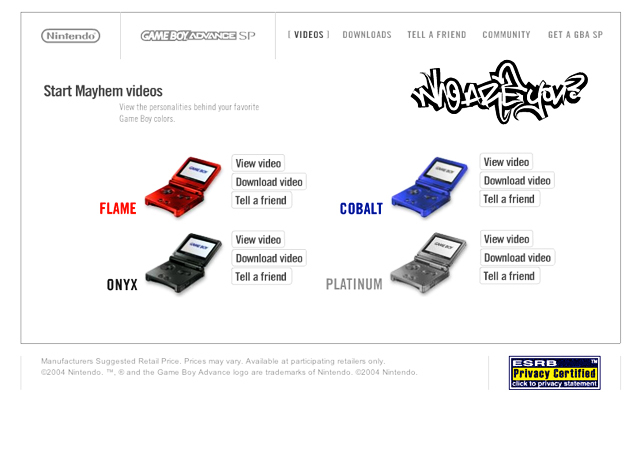 We launched new videos every few weeks, to keep users checking back for more information on the next release. 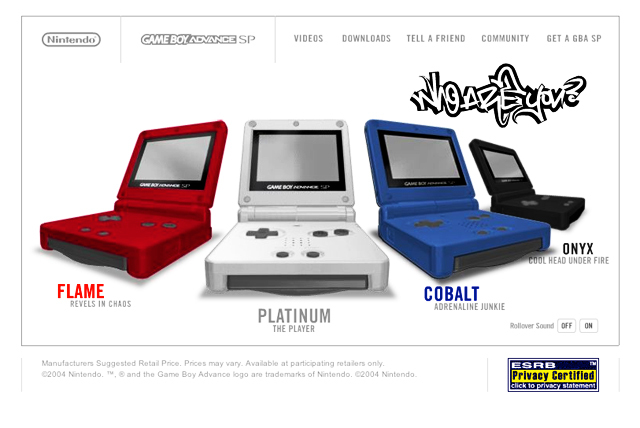 The Start Mayhem site became the centerpiece of the campaign and a destination for Nintendo fans by inviting them to choose SP colors as a means of personal expression. It earned second place in iMedia Connection �Best in Show� competition.